Sponsoring Dufferin Women in Business is a great way to give your business a value added presence and your company will be recognized on all promotional material as well as social media and newsletters. We have many options available at different price points. If your market is Women in Dufferin County, sponsor us. Your money goes directly to the Dufferin Board of Trade (DBOT) to help support business development initiatives in Dufferin. Please contact us for specific event sponsorship information and availability. We will feature Women in Business on this website who are Dufferin Board of Trade members and participate in Dufferin Women in Business events. 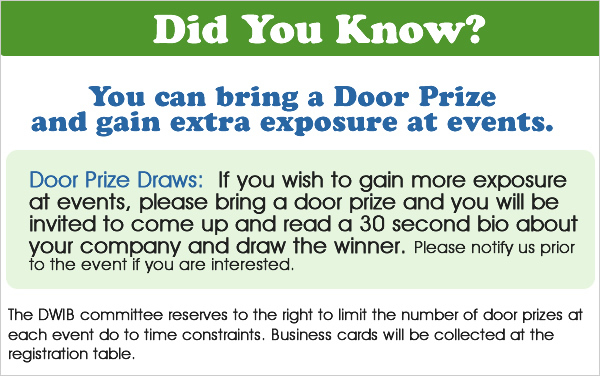 Our “Spotlight On” candidates must answer several questions in 500 words or less, and provide a photo. Each feature will remain on the website and is archived to be read later. We offer an audience of professional business women located in and around Dufferin County the opportunity to advertise in front of their peers. We do offer display ads on this website for DBOT (formerly, Greater Dufferin Area Chamber of Commerce) members only. 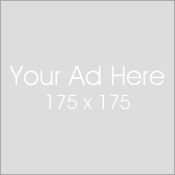 The ads must be supplied to the exact pixel size and in .jpg, .gif or .png format. All ad proceeds go directly to the DBOT. Ads are randomly rotated in each ad position. We allow no more than 3 rotating ads in each position to give adequate exposure on the website. Graphics: If you are not able to provide the exact pixel size or format, please contact us and we can arrange graphics services for you. The cost will be assessed individually and billing will not be associated with the DBOT. Step 4: You will be contacted within 48 business hours via email. Step 6: Your ad time begins the date the actual ad goes live on the dwib.ca website.